I am beyond excited to launch a project I have been working on for a long long time. 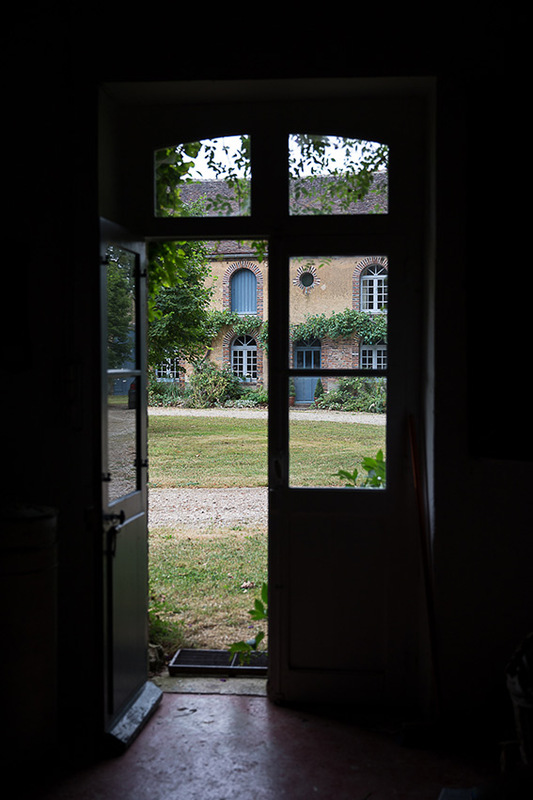 I would like to invite you to a Photography, Filmmaking and Styling retreat, in France, in my childhood home. One hour and forty minutes South of Paris, in wine making region Burgundy, my childhood home is the perfect backdrop for a beauty chasing retreat. Nestled amongst the woods, in a very rural area of France, the house is surrounded by an old farm and its 3 buildings. Anyone who loves travelling and is interested in photography & videography; bloggers, stylists, photographers, or aspiring to be; creatives of all types; people who want to spend a few days amongst like-minded folks in the beautiful French countryside less than 2 hours from Paris. Beginners are most welcome. And for pros, it’s the ideal opportunity to build up or refresh a portfolio. The French countryside is full of fabulous things to shoot. 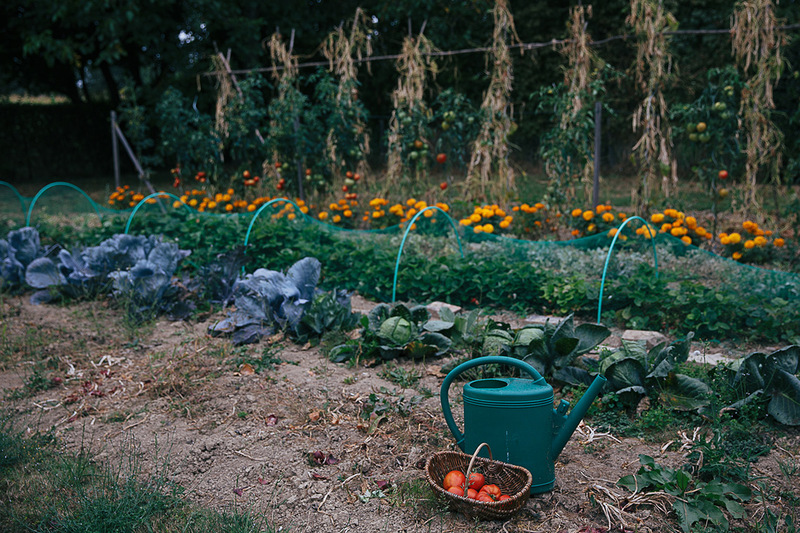 The veggie patch and the local market will provide beautiful fresh products to cook and shoot. The garden full of flowers, the forest and the ponds will create opportunities for very unique photos. 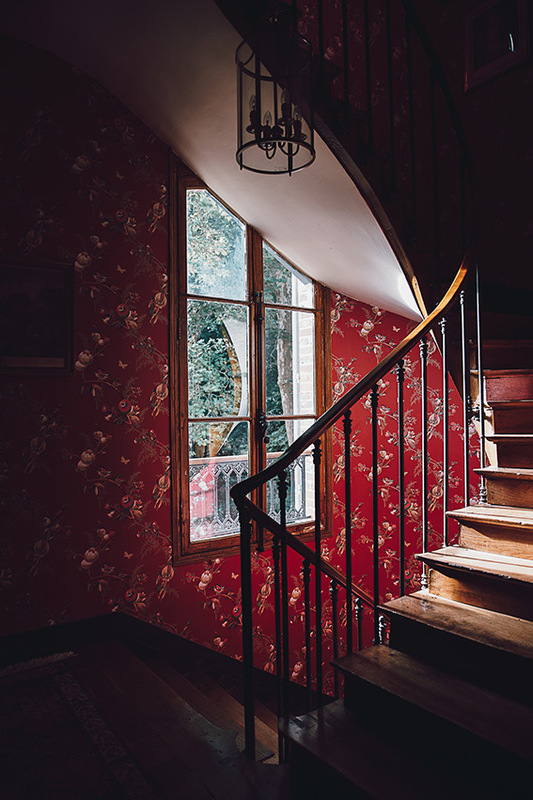 The house is a 19th century old lady who’s the ideal setting for many unique vignettes and typically French scenes. Weather permitting, we will visit the local countryside market and its stalls laden with hundreds of different sorts of cheeses, ripe and flavoursome fruits & veggies, meters of buttery brioche and many more. And because we’re all prop hoarders, let’s not deny it, I’ll take you on a tour of the ultimate French “vide-grenier” (empty-attic) where charming village streets are lined up with tables covered with old plates, cutlery, and forgotten treasures for sale. I’ve been lucky to be the student of her “Make Films Course” and will never live my life the same way ever again. I desperately wanted her to come and teach in Burgundy and she managed to make a little place in her very busy schedule for us. Teaching: “Clair-obscur or Chiaroscuro”. The art of capturing just enough light to create a moody photo. She will explain how to build and shoot a still life. 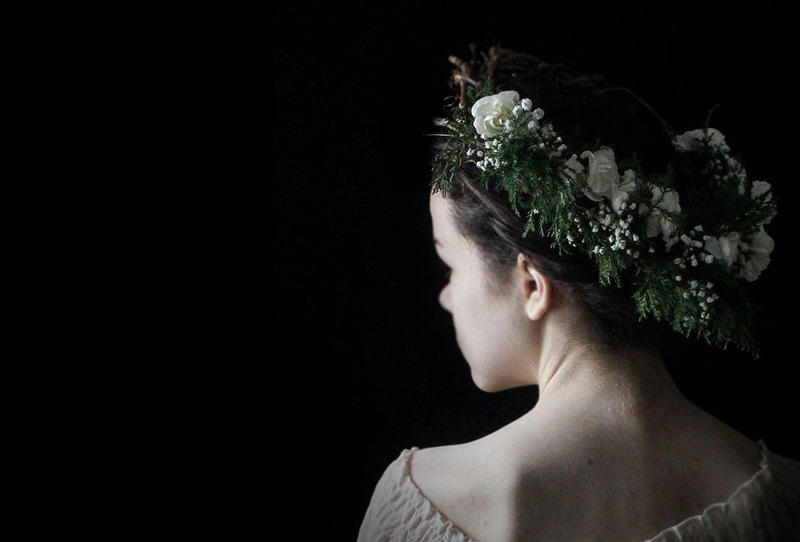 In a makeshift photo-booth, she’ll show us how to re-create, at home, a divine Dutch-painting-style-self-portrait with a flower crown gathered in the garden. Bio: Meghan is as young as she is talented. At only 19, with a deep sense of composition, light sculpting and colour, she is already a master of Tenebrism. 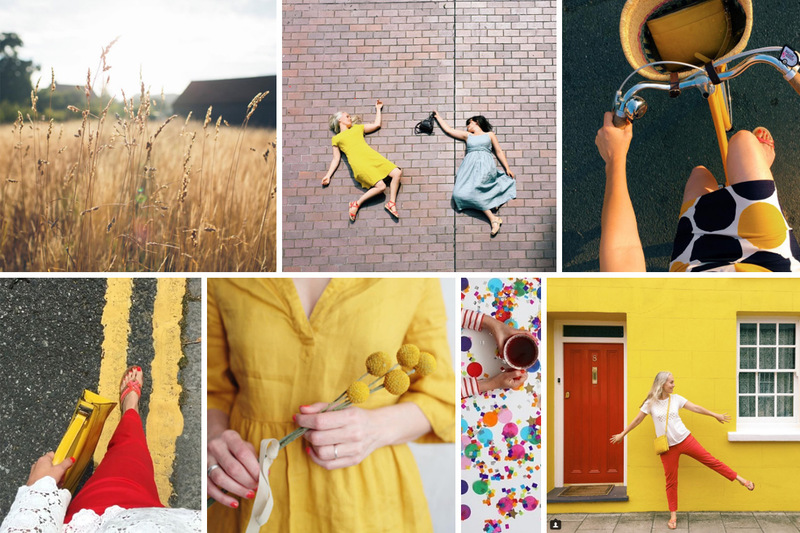 She has a cult Instagram following for her fabulous photography but also for her talents as a writer. 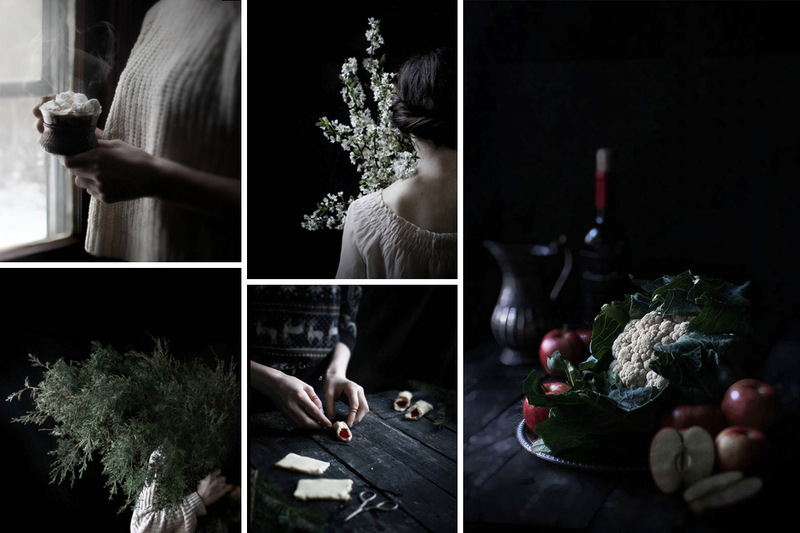 Passionate about still life especially with a Dutch or a Flemish flare, she creates stunning images where she is sometimes the subject wearing heirloom lace or dusting a sophisticated cake with a pinch of icing sugar. I have been one of her groupies for a while now and I’m so excited to have her with us! 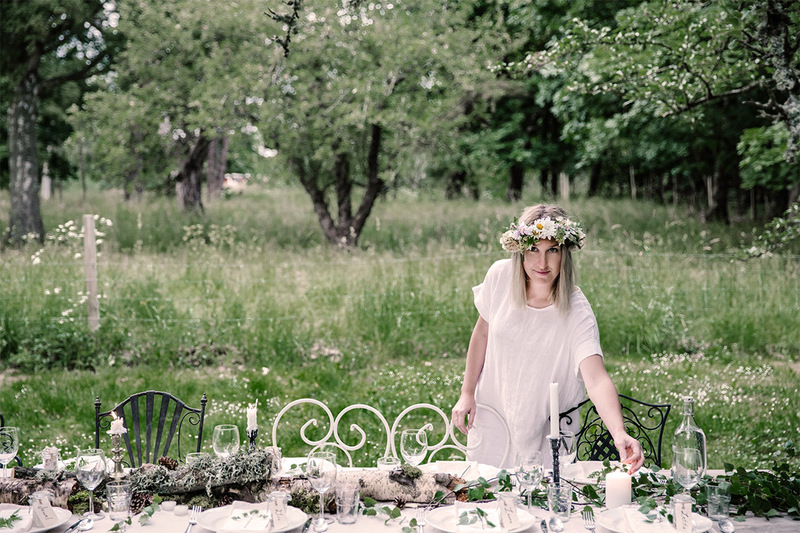 Photography by Beth Kirby during a beautiful retreat in Gotland. Teaching: “In situ – location and light” or how to capture the best shots in a given situation. To start with, Lean will explain the basics of manual shooting and then share her extraordinary light chasing knowledge. 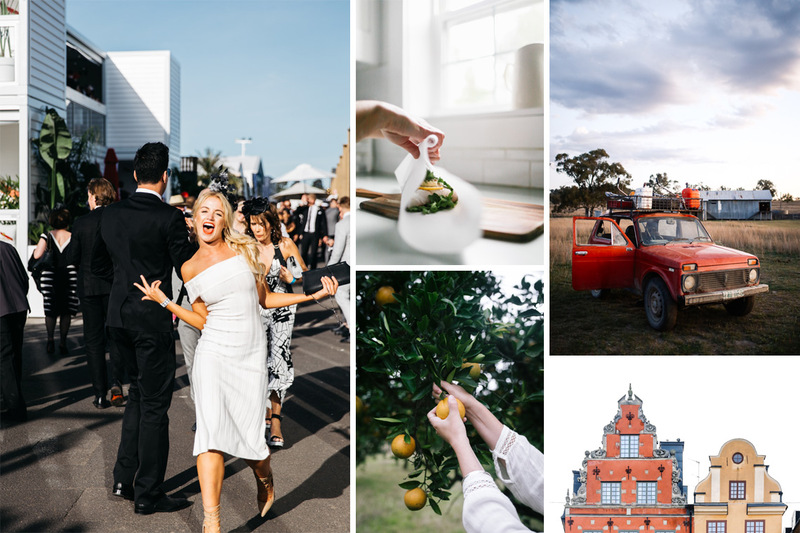 Bio: Lean is a very gifted photographer who shot fabulous travel and cookery books and has been published in various top Magazines. Her speciality is travel and lifestyle photography. Check out her breathtaking photos of Scandinavia. Rarely these particular light and subtle colours have been captured so beautifully. She also works for big brands in Australia and beyond, instilling charm and beauty in everything she shoots. She was briefly my teacher at the unforgettable Daily Plenty workshop and I absolutely loved seeing how she works, listening to her explain her process and showing me where the winner shot was hiding in a 360° landscape. So I really wanted her to join us for this French adventure and am so glad she said yes! 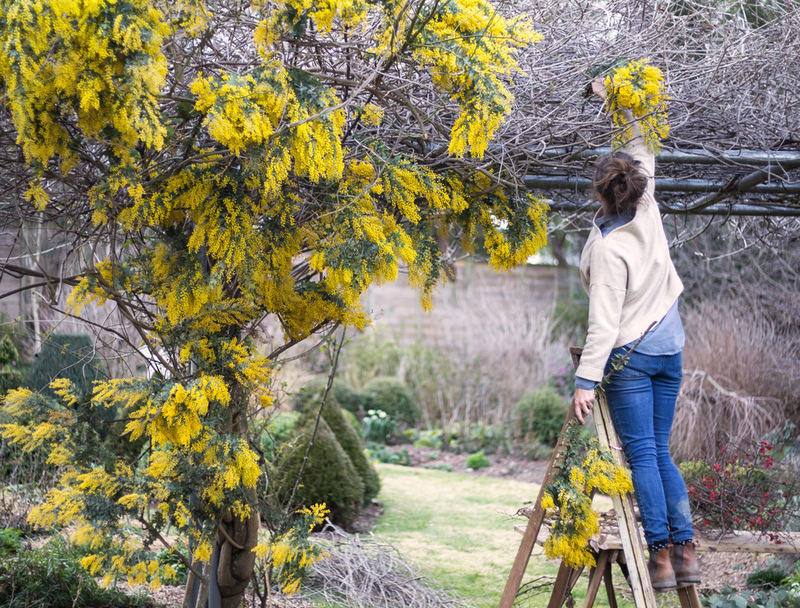 Bio: It’s hard to write a mini biography of Annabelle Hickson… There is nothing she doesn’t do… But maybe what defines her the best is “Floral Goddess”. Passionate about finding beauty in everything, she became a key writer for the delicious Australian Magazine “Country Style” and because everything comes easy to her, she also became a photographer and because no one could ignore her talent as a stylist she added that one to her résumé too. Flowers are probably her number one passion. 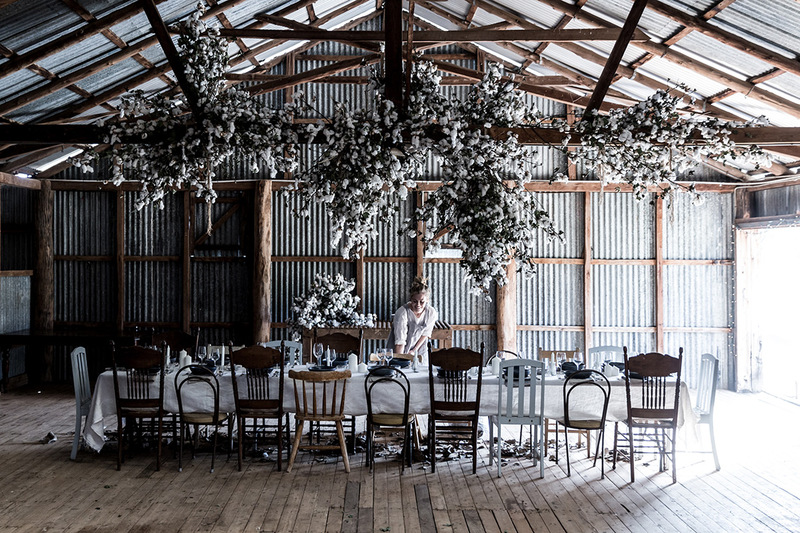 She finds a plethora of them in her pecan farm in the remote Australian countryside. 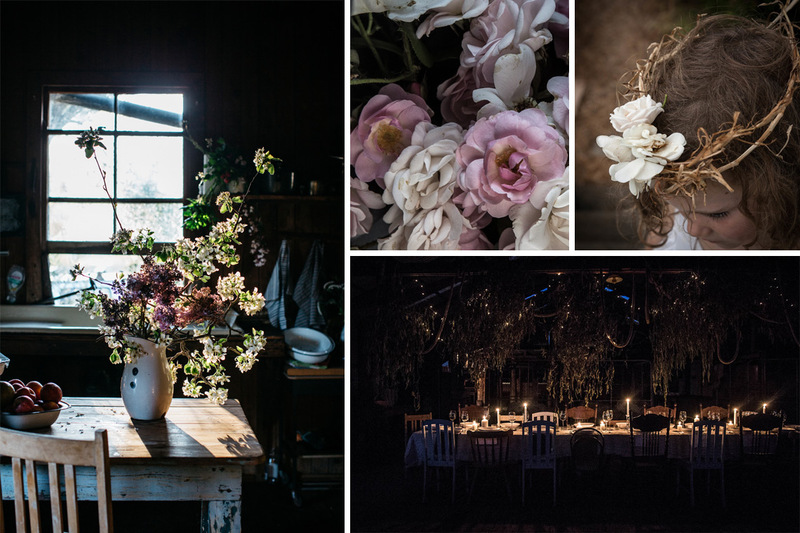 You will probably never recover from her giant flower installations but at least she’ll have given you her secrets to making one at home. Morning* – Train at Paris – Bercy – Get off at Joigny station. 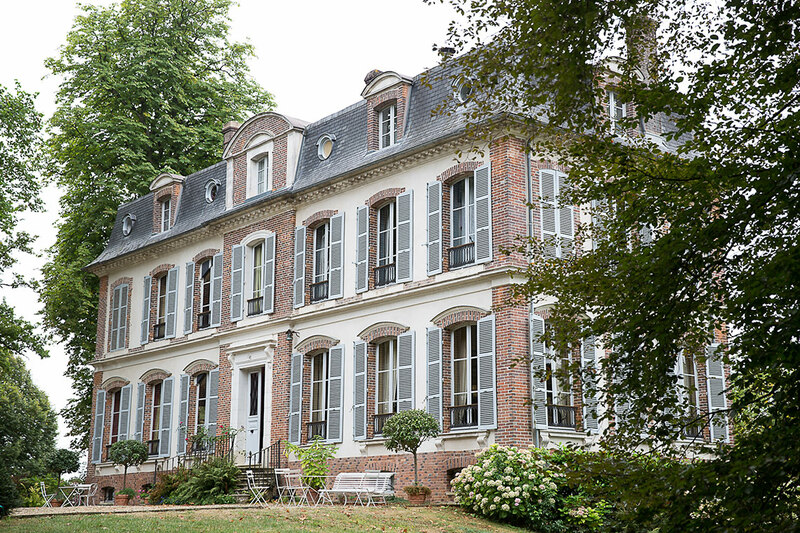 Upon arrival* – Bus pick-up from Joigny Station to the property. 2.00pm – 2.30pm – Arrivals & Welcome. 2.30pm – 3.30pm – Introductions in the main house and afternoon tea. 3.30pm – 5.30pm – Lean will launch the retreat by explaining photography basics including camera gear, manual shooting and the magic triangle of aperture, ISO and shutter speed to get the correct exposure. All four teachers will explain composition. 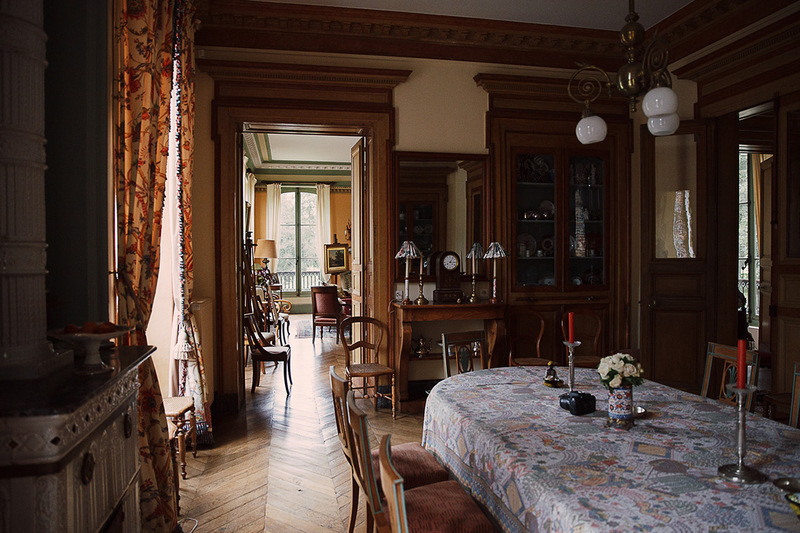 Then we will go for a tour of the house and the garden. 5.30pm onwards – Time to settle in before a typical French apéritif and a “Table Spectaculaire” welcome dinner in the Barn. 8.00am – 8.45am – Breakfast in the main house. 9.00am – Departure for the local market. 9.30am – 11.30am – Free time at the market. Meeting point at the bus stop. 12.30pm – 2.00pm – Lunch in the main house. 2.00pm – 6.00pm – 4 groups of 3 people will attend one of these workshops for 4 hours. Groups will rotate and attend every single of the 4 workshops during the whole retreat. > Annabelle’s will teach you how to channel you inner floral goddess. 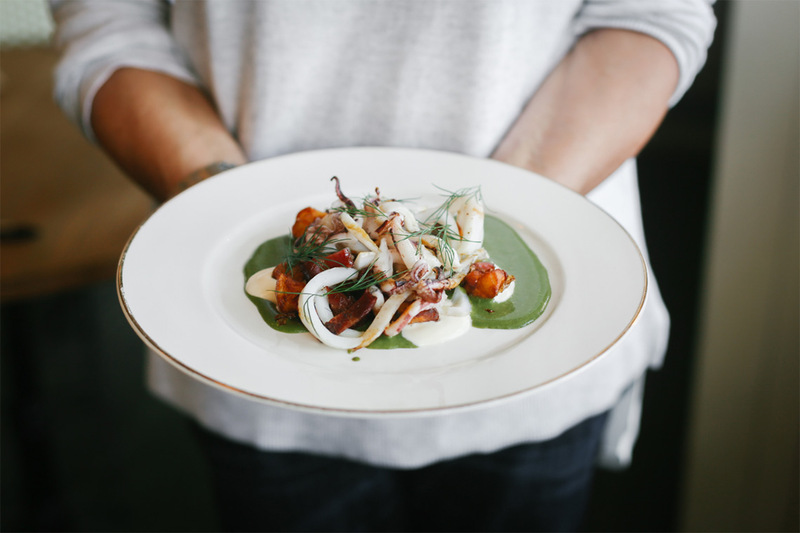 She’ll give you all her tricks for the table setting she created for dinner the night before and later that evening, how to shoot it and all the rules to keep it convivial and retain the plants’ freshness. > Lean is going to take you on a tour for an in-situ shoot. The art of capturing the essence of a location (architecture, food, people) using composition, storytelling and light. She’ll talk about the importance of light in photography and how to approach and work with natural light, inside and out and at any time of day. 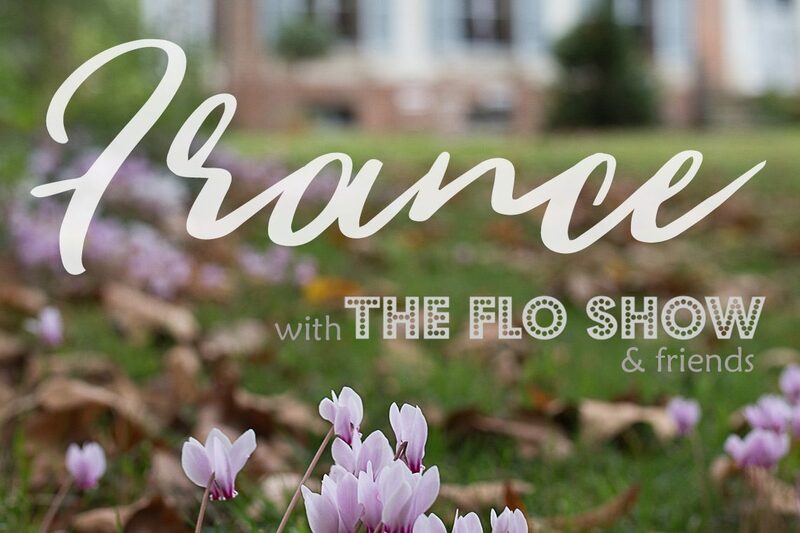 You’ll learn how to shoot candidly and efficiently on location. > Xanthe will initiate you on the fundamentals of film-making which include: gear & music, different shooting angles, then slow-motion, time-lapse, how to shoot and edit them. 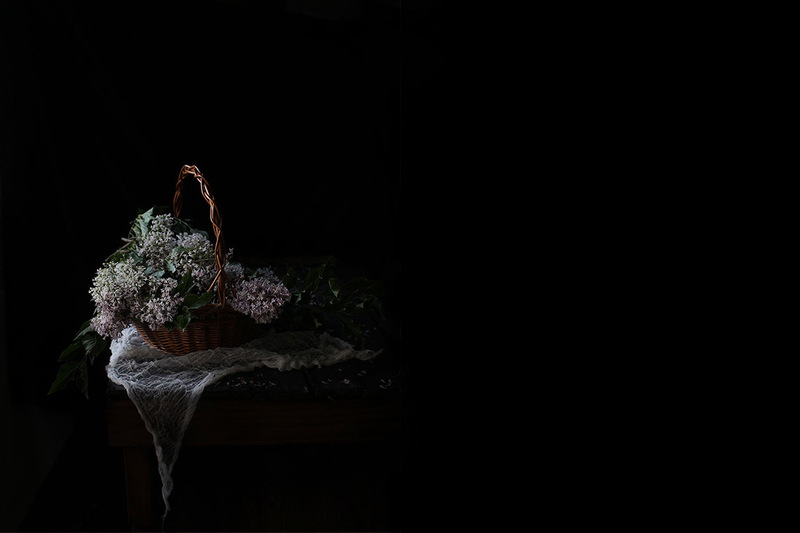 > Meghan will take you to her makeshift chiaroscuro studio to teach you her still life tricks. 7.00am – 8.45am – Breakfast in the garden with early photoshoot to get the best light! 9.00am – Departure for the “Vide-Grenier” flea markets. 9.30am – 12.30am – Free time at the market. Meeting point at the bus stop. 13.00pm – 2.30pm – Lunch in the main house. 2.30pm – 6.30pm – 4 rotating groups of 3 people will attend a 4 hour workshop they didn’t attend the day before. > Annabelle, Lean, Meghan and Xanthe will change students once again. 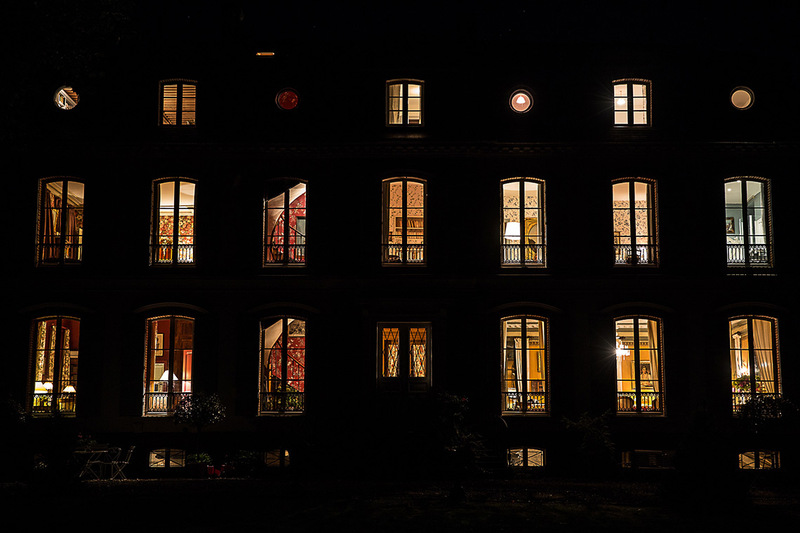 6.30pm – 7.00pm – Time to rest during an apéritif with local cider, wine and beer dégustation followed by a French Candle Light Dinner in the Old Dining Room. 9.00am – 13.00am – 4 rotating groups of 3 people will attend each workshop they didn’t attend the day before. > Annabelle, Lean, Meghan and Xanthe will change students. 2.30pm – 6.30pm – 4 rotating groups of 3 people will attend each workshop they didn’t attend previously. 6.30pm – 7.30pm – Time to rest before our now traditional apéritif and an “Enchanted Dinner in the Forest” followed by a casual around-the-table Q & A. > Annabelle will focus on table photography. After having shown you how to set these magical tables which you will have photographed during the past days, it’s time for you to plunge a bit deeper into table-photography and why not show Annabelle your photos taken so far so she can show you what’s good and what’s not, or how she would have done it. 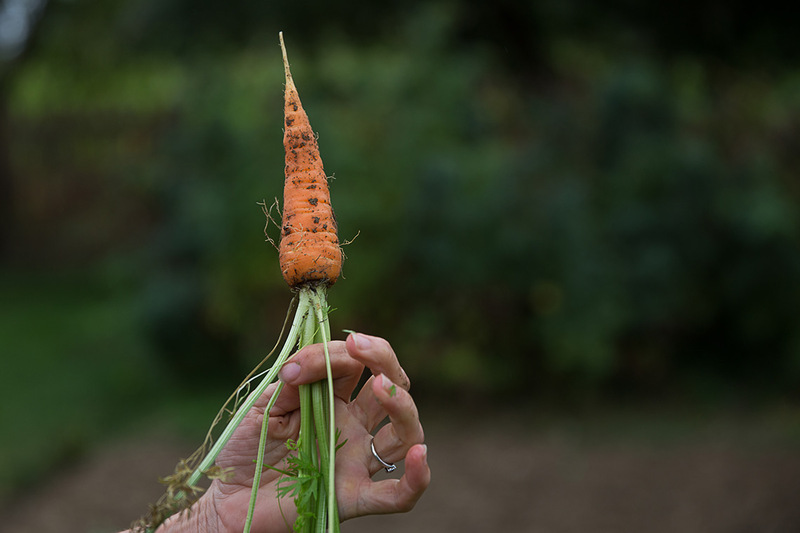 > Lean will take you on a food photography tour from the veggie-patch to the kitchen. The focus will be on ingredients, preparation and a final hero shot. > Xanthe will show you how to do a stop-motion. A fantastic method which makes objects appear to be moving by themselves. Brands around the world are crazy about it. Take this opportunity to understand how it works. > Meghan will teach you how to make the most beautiful and moody self-portrait in a make-shift photo-booth. 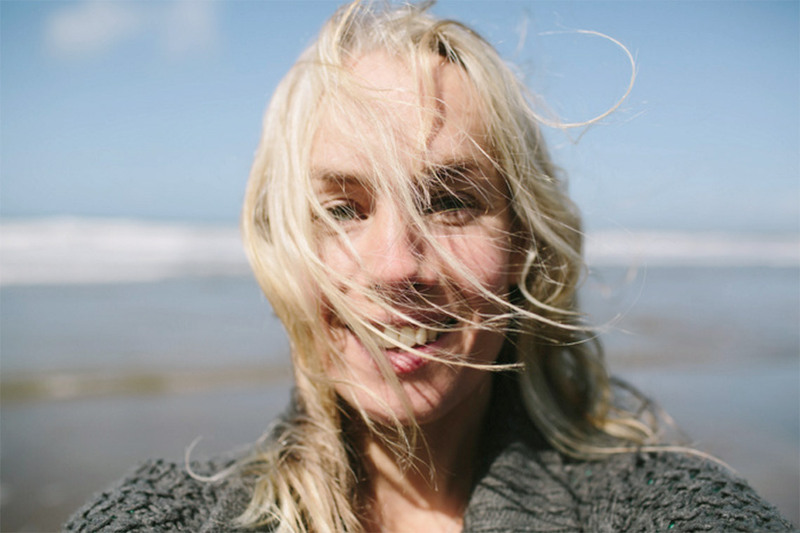 This simple method will allow you to take good photos of yourself at home which is a priceless skill! 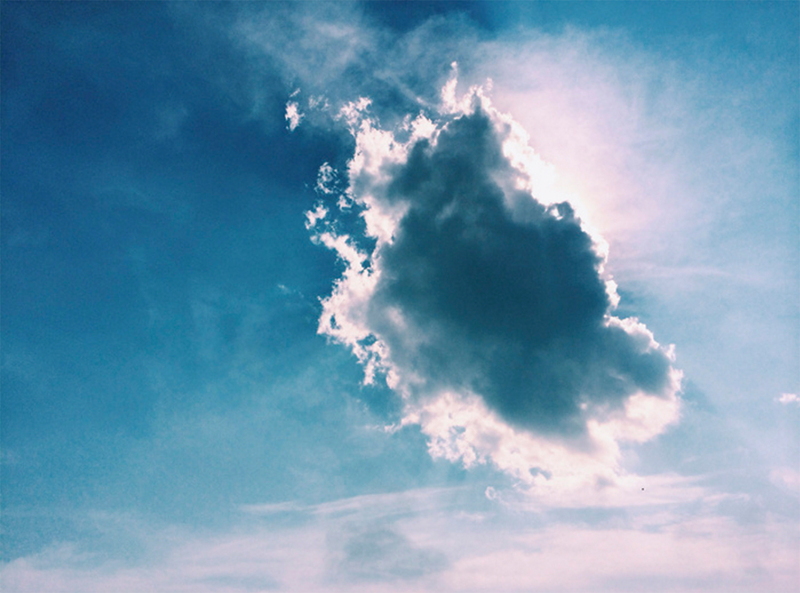 14.00 – 16.00 – Photography post production group session. The teachers will talk about their workflow, the use of Lightroom, Photoshop and give their advice on presets. An afternoon tea will be served. 2750 Euros for 5 days and 4 nights, all meals, drinks and accommodation included. For the bank details in Euros or Australian Dollars Contact me. To pay in two instalments, please contact me. > Rooms are shared and the accommodation in the farm is quite basic. Bathrooms are shared. > Sheets, towels, shampoo and soap are provided. > If you have any allergy (food or other) let me know just after booking. We will try our best to accommodate dietary requirements and this will mean a lot of preparation, so we need to know as early as possible. We will have gluten free, dairy free and vegetarian options. The food will be traditional countryside cuisine with lots of vegetables and fruits. > August is the heart of Summer in France. Weather can be very hot but sometimes also very mild. It is usually dry but can be wet too. Summer clothes with a few light cardigans or vests will be perfect. Don’t forget to bring your costume for our 1920ies dress-up party. > There are only 12 spots available. Due to the involved logistics, no cancellations or refunds will be possible unless you find someone to replace you. Please make sure you can make it before booking. We also strongly encourage you to have travel insurance to cover the retreat in the event of strikes, natural disasters, health problems, and other unforeseen events. In the event that a teacher is not able to attend, we will offer an alternative course of equal standard and quality. – Visit the Burgundy vineyards starting from Chablis, Coulange-la-Vineuse, (about 50 mins from the house). – Discover France navigating on a barge along its canals. The famous “Canal de Bourgogne” is very close. – Hop on a train or plane and visit Europe. 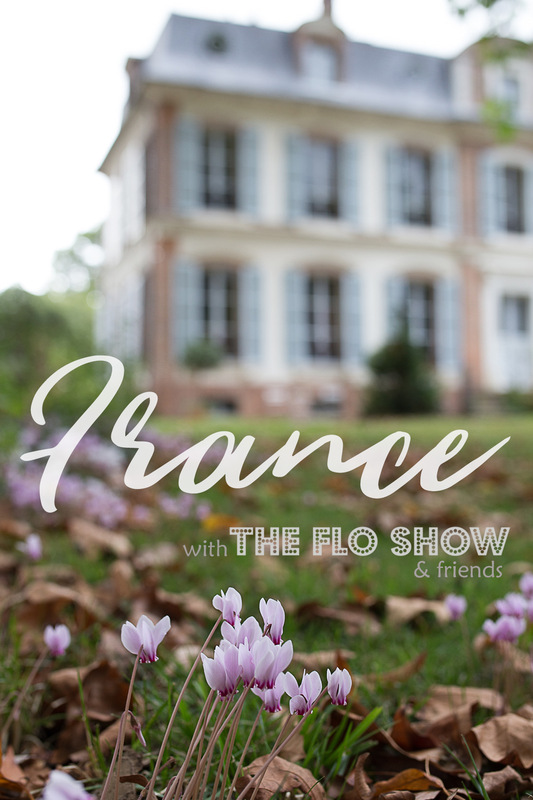 “FRANCE with the Flo Show & friends” is actually many retreats or workshops in one. We will not talk about 1 style, 1 method, 1 type of photography. It will be a very thorough and intense series of ateliers where you’ll be given a really solid and artistic base by incredible people, each one with very different views, techniques and styles. We chose to create small groups of 3 people so you can properly access your teacher, take a real part of each course and project. You won’t queue to take a photo :) You will get to know these wonderful people who will be your teachers for these five days but also the other passionate attendants who could, who knows, collaborate with in the future. You will find more photos of the place on my Mum’s Instagram @marie_s_garden and on both my Instagrams: the dark one @the.flo.show and the light one @floreaddison. 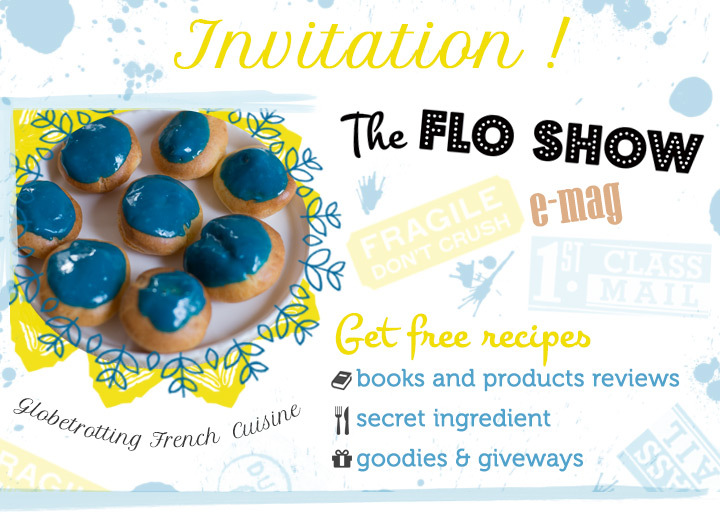 Feel free to spread the love by sharing this article with our hashtag #francewiththefloshow and by tagging me @the.flo.show. Hi there. Is there an age limit on the trip? I have a 15yr old who is really getting into photography… I’m assuming you are saying adult trippers but just thought I would ask. I would come too ? There is no age limit :) You are your son are absolutely welcome! Do you mind sharing a room? 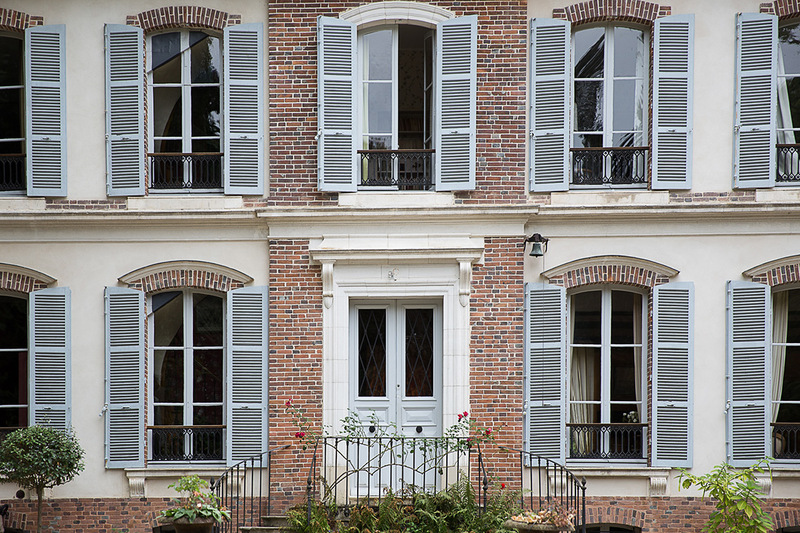 Will there be another course in the French House? Please let me know, it looks so fantastic. Keep an eye on my Instagram where the dates will be published. I’m doing it again next year. I do not have any date set just yet but it will take place next French Summer 2018 and the dates will be published on this blog and on my Instagram in the coming weeks.